A church’s message to the community begins long before someone enters the building and extends much further than the message on Sunday morning. It begins at the curb. For Vale Church in Bloomington, IL though, the view from the road was not the message it wanted to be sending to passersby. On the outside, the church looked like the tired, run-down car dealership it had occupied for 22 years. But on the inside, an energetic body of believers filled an innovative, creative and contemporary space. The two did not connect. 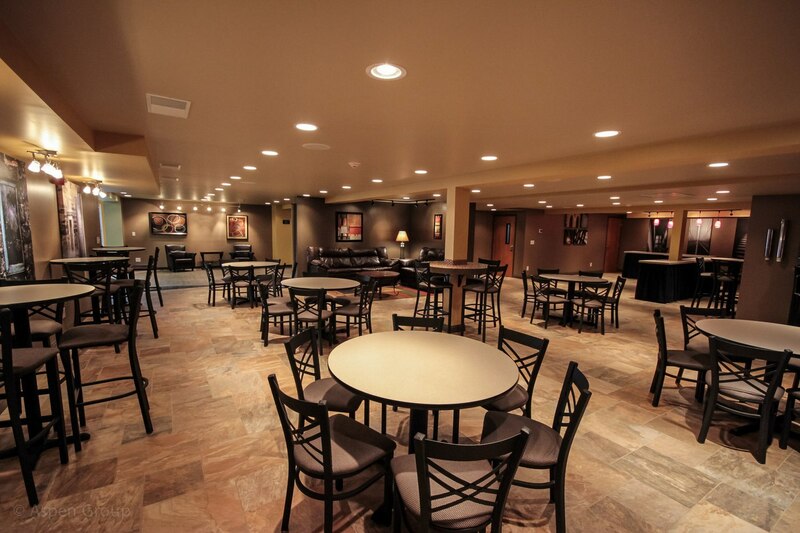 After attending a Cornerstone Conference hosted by Aspen Group, Vale’s leadership began to ask itself: “Does our ministry have to work around our building or can our building work for our ministry?” The question struck a chord within the church, and Vale began discussions with Aspen Group about their facility challenges. 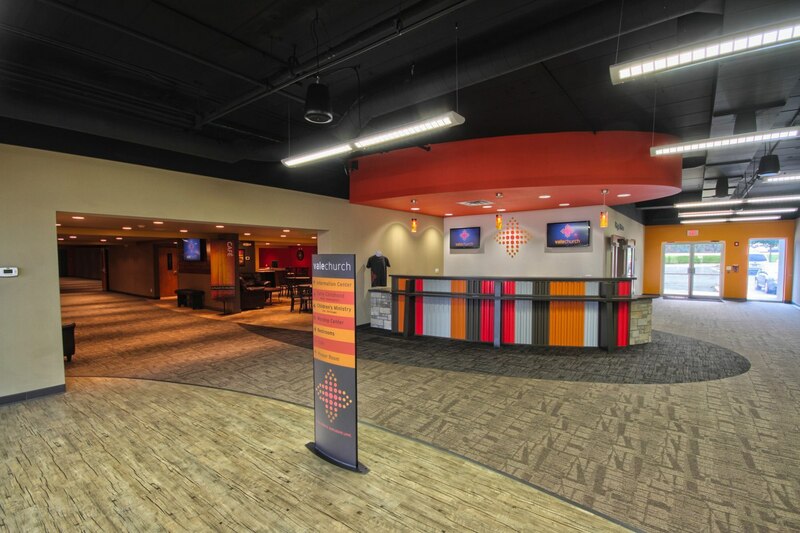 Before endeavoring to design space for Vale, Aspen Group’s partner, Fishhook, worked with Vale to help find their vision and discover ways to better communicate their message to the congregation and the community. Fishhook then rebranded Vale, connecting its feel to its look— from a new logo and tagline to new colors and roadside signage. Vale then stood ready to engage Aspen Group to connect its new brand to its outdated façade. 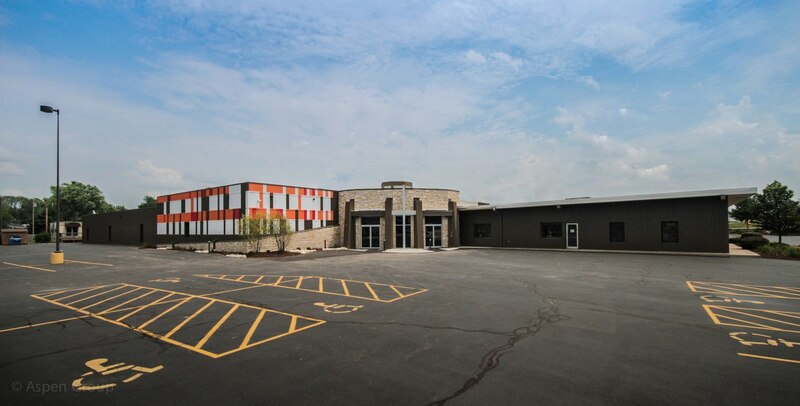 Aspen Group placed architectural metal panels over the worn, industrial-looking exterior to cover Vale’s entire 10,000-square-foot exterior façade in an affordable way. 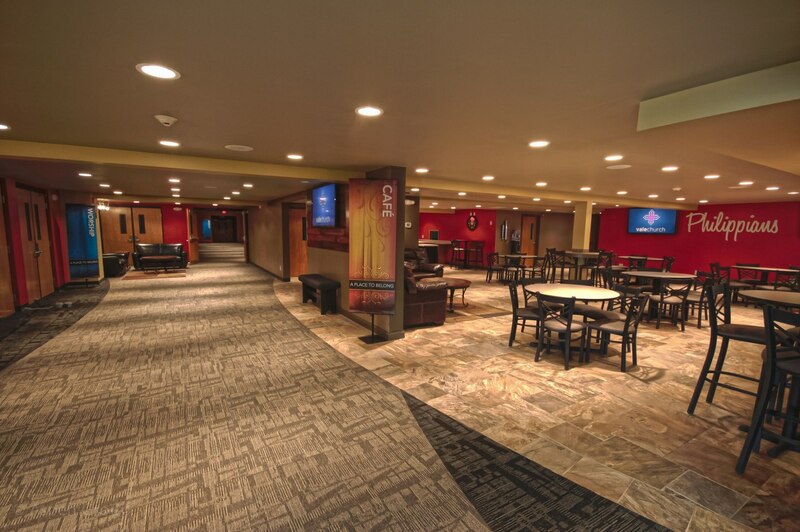 A new 815 square foot vestibule now makes wayfinding clear by pointing visitors to an obvious entryway, covered by new stone and washed by color LED lights. 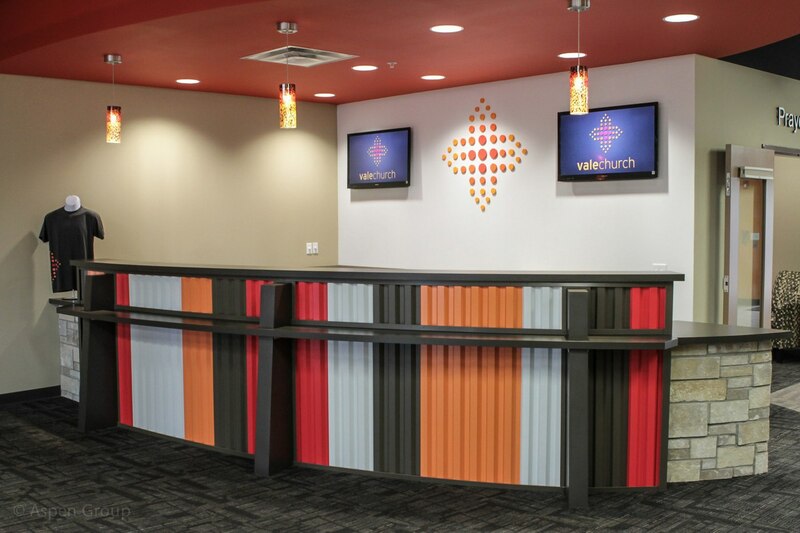 Aspen Group also included Vale’s new brand colors to make the new entrance pop and showcase the energy that lies inside the walls of the sanctuary. 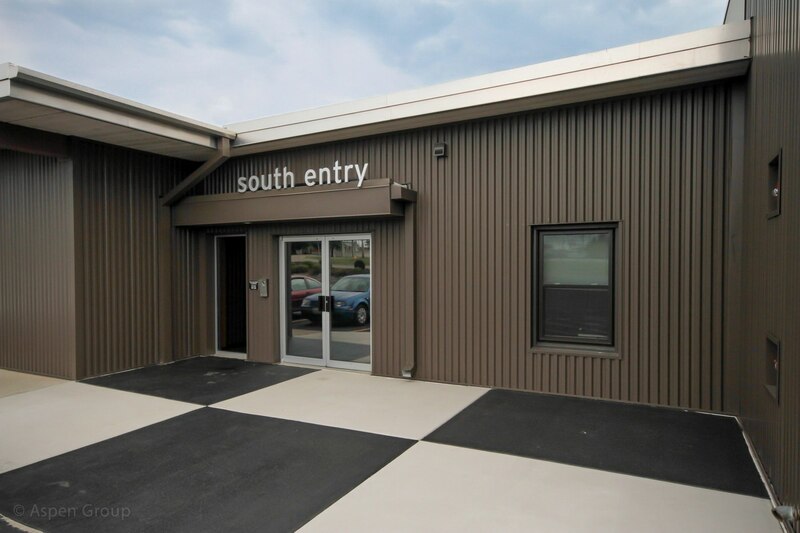 On the inside, the exterior’s colored paneling covers the new welcome desk and bold aluminum lettering reinforces the entry locations. A custom cupola over the vestibule also allows for LED illumination, saving cost over a traditional skylight feature and adding visual interest from the street. Today, when you drive by Vale Church, it’s clear that they are a community of believers that are alive and full of explosive love.